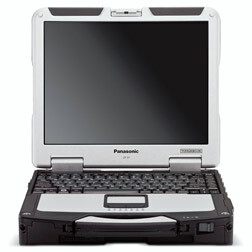 The Modulus LC31-A is based on one of the world’s most popular rugged notebooks – The Panasonic CF-31. The LC31-A has a full daylight readable screen, a backlit keyboard and up to 20 hours of battery life. The Modulus C31-A is a flexible platform for rugged computing with a broad variety of configuration options. LC31-A comes with an optional TEMPEST docking station, giving the entire system full TEMPEST features, including fiberoptic connectivity to the host network. LC31-A is avaliable in TEMPEST level A, B and C versions.